Item # 318681 Stash Points: 19,995 (?) This is the number of points you get in The Zumiez Stash for purchasing this item. Stash points are redeemable for exclusive rewards only available to Zumiez Stash members. To redeem your points check out the rewards catalog on thestash.zumiez.com. 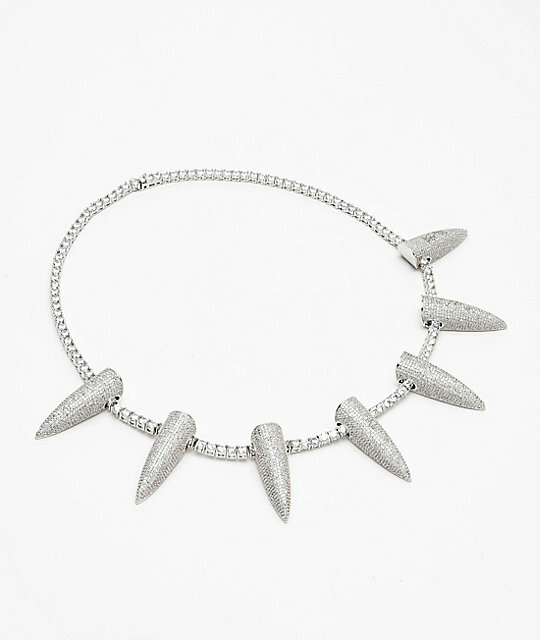 Ooze superhero vibes when you rock the Wakanda Iced White Gold Necklace from King Ice. With a design inspired by a popular superhero, the Wakanda Necklace features white gold plating and is covered in clear CZ stones for a design that shines. 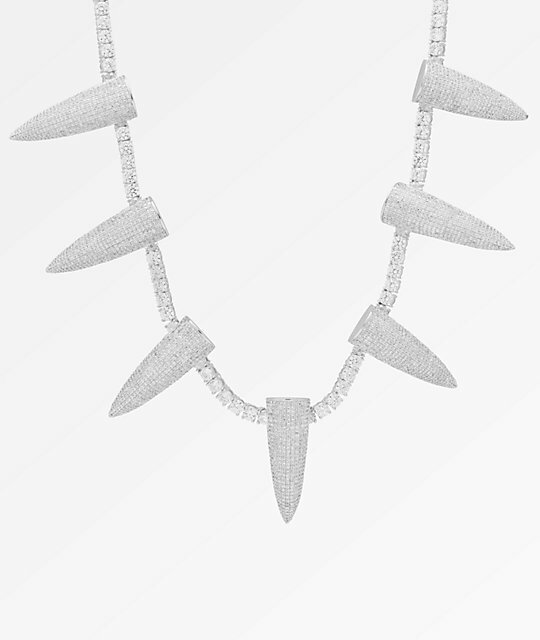 Seven spiked pendants are fixed on a 20" CZ encrusted chain, creating a vibrant look, that is fit for a king. 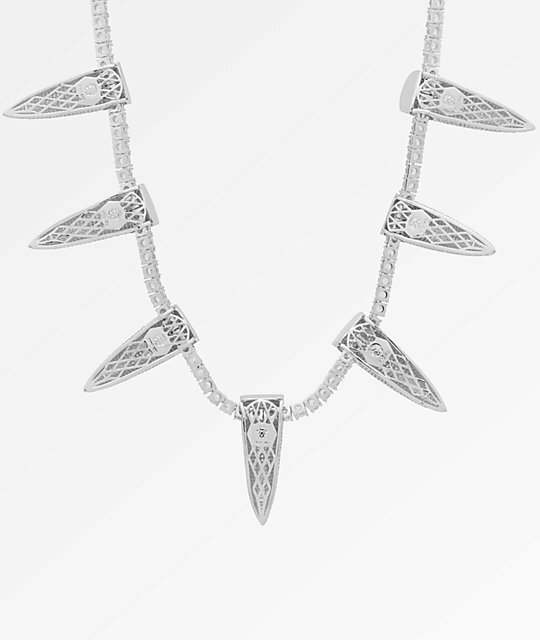 Wakanda Iced White Gold Necklace from King Ice. Brass pendant with a dipped 14k white gold plating.